Ovarian cancer originates in the ovaries, which are almond-shaped female reproductive glands that produce eggs and the hormones estrogen and progesterone. The most common type of ovarian cancer is epithelial, which begins in the layer of cells that cover the ovaries and the abdominal cavity. Epithelial cancers account for roughly 85 percent to 90 percent of all ovarian cancer cases. According to the American Cancer Society, ovarian cancer affects roughly one in 75 women. 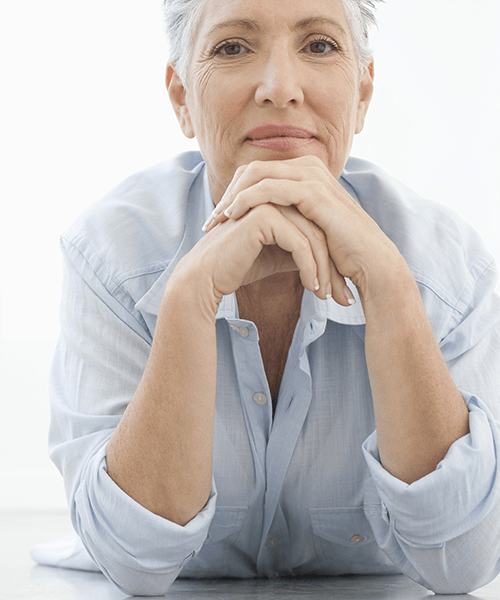 Ovarian cancer most commonly affects women over the age of 50, although it may occur in women of any age. Ovarian cancer originates in the ovaries, which are almond-shaped female reproductive glands that produce eggs and the hormones estrogen and progesterone. When ovarian cancer metastasizes, it may spread to organs and tissues in the abdomen, pelvis and lymph nodes, or to distant sites throughout the body, such as the lungs. At Minneapolis Radiation Oncology, we understand the uncertainty that comes with an ovarian cancer diagnosis. Our radiation oncologists and supportive care teams are committed to helping you understand the complexities of the disease and how radiation treatment may help with your cancer. Our MRO radiation oncologists offer a level of expertise that comes from working exclusively with radiation cancer treatments and patients every day. Although ovarian cancer is categorized into more than 30 different types, most are identified based on the name of the cell in which the cancer originated. Cancerous ovarian tumors develop most commonly in the epithelial cells, which are the cells that make up the outer layer of the ovary. Although most epithelial ovarian tumors are benign, cancerous epithelial tumors, or epithelial ovarian carcinomas, account for 85 percent to 90 percent of ovarian cancers. They commonly spread to the lining and organs of the pelvis and abdomen first before spreading elsewhere, such as to the lungs and liver. They also may spread to the brain, bones and skin. Two other types of cancer are similar to epithelial ovarian cancer: primary peritoneal carcinoma and fallopian tube cancer, both of which closely resemble epithelial ovarian cancer and are often treated with the same approaches and techniques. Primary peritoneal carcinoma develops in the lining of the pelvis and abdomen. Fallopian tube cancer starts in the fallopian tubes. Both are rare. Typically, aggressive chemotherapy is usually more effective and radiation therapy is rarely used as the main treatment for ovarian cancer. If radiation treatment is deemed appropriate for treating areas where the cancer has spread, the MRO radiation oncologists will target the tumors with advanced precision radiation treatments. Our radiation oncologists will provide you with a personalized treatment plan to help you get the treatment you need and get you back to your life.